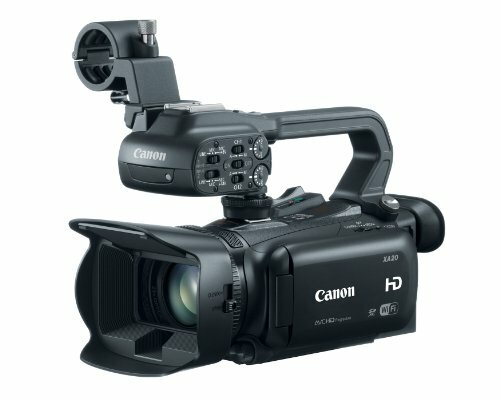 The top camcorders under $2000 are the entry to Pro video camcorders (prosumer camcorders can be used by professionals as well as normal users). Most of the camcorders in this range are equipped with CMOS or 3CCD sensors, large LCD screen, good low light performance, multiple frame rate recording, high-speed burst mode and lots of Internal memory. 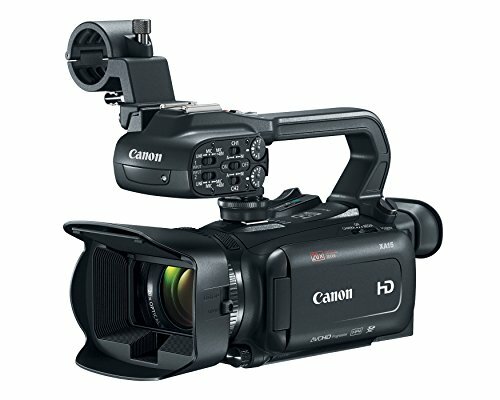 Sony, Canon, and Panasonic are the top manufacturers of these camcorders and can be used for the short film documentary, wedding, and special occasions. 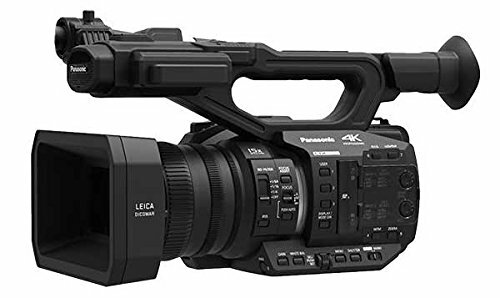 Here we have compiled this list on the basis of top camcorders in the price range between 1500 dollars to 2000 dollars, Amazon average ratings, reviews and many expert review site ratings. 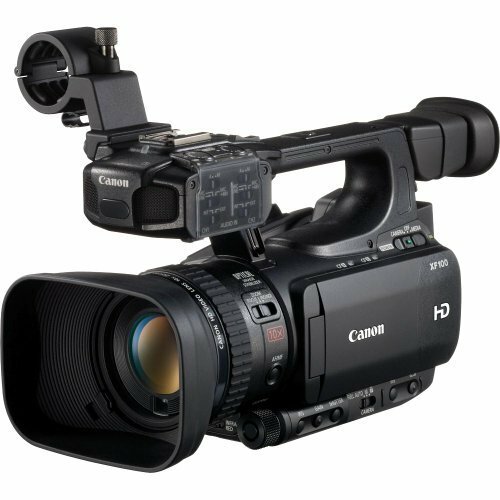 Canon XF100 is another very much capable camcorder with a ton of features that one can use to record high quality high definition videos with proper lighting conditions specifically in the case of independent filmmaking. The XF100 camcorder features a 10x HD zoom lens, a 1/3” CMOS sensor, 4:2:2 color sampling,50 Mbps MPEG-2 recording, multiple bit rates, multiple resolutions, dual XLR inputs etc. Canon XA20 is another appropriate one for particularly independent filmmaking with having the core features of a tremendous powerful 2.8 mm lens, outstanding video quality, unbelievable low light performance and comfortable auto focus mode. For XA20 it would have been incomplete if the mention about its superb expertise in the case of sports videos was omitted. If you were expecting some really good camcorders up to $2000, you couldn’t have been righter. Biggest brands have unleashed their one of the greatest creations to let you shoot videos like a pro and above listed are the beasts we are talking about. Sony FDR-AX100/B, though not highly running off with features, has a better refined, integrated set of specifications that successfully create mesmerizing memories through its 4K video resolution of 14MP and 20MP still images. 1” EXMOR R CMOS sensor with direct pixel readout imparts mind-blowing clarity to the media content. You have BIONZ X Image processor for legitimate picture quality and can use different codecs like XAVC-S, AVCHD, and MP4 for ultimate support in all kind of playback devices. 12x Optical Zoom and 24x Clear Zoom to take you closer to your subject like never before, in the Ultra-high definition. Assistive features like Optical image stabilization, NFC Linking, WiFi help you take better pictures and transfer them quickly without any hassles. Another one by Sony, the HXRNX100 is quite a reliable piece of professional shooting. It records at Full HD resolution at 60FPS assisted by 1” EXMOR R CMOS sensor for a wide range of shooting conditions. The Sony G Lens facilitates 12x Optical Zoom and 24x Clear Image Zoom and even better, 48x Digital Zoom which, honestly, is quite more than enough. Correction mechanisms like Active SteadyShot, ND Filter Control, Three-Lens zoom ring and Manual Iris Control. 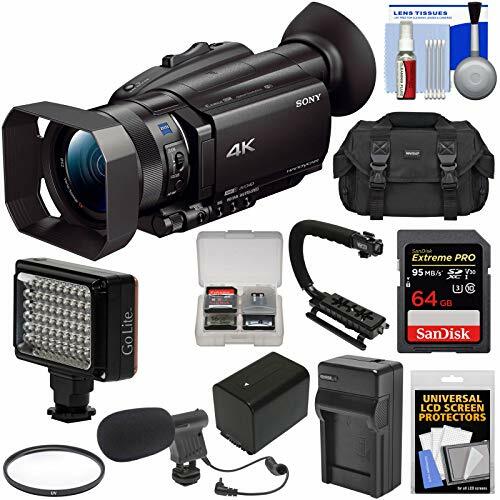 With almost the same price tags, we have 3 camcorders from the X series in this category. For professional videography, the XA30 has Full HD recording with HD CMOS Pro Image sensor with improved low-light performance. It also offers an incredible 20x Optical Zoom for the best close-ups. Its superb image reproduction leaves a touch of great details and color saturation. For transferring, it has got FTP Transfer via Built-in WiFi for the lesser wait and more work. Dual SD card slots give you the freedom to store and preview more before you transfer. Some of the high-tech features it offers are Wide DR Gamma, Highlight priority mode, Intelligent Optical Image Stabilization and more to make sure the output is always great. Similarly, the XC10 also records videos at 1080p resolution with 60 FPS using Canon XF Codec to ensure universal compatibility. The videos via this camcorder reach up to an astounding 50 Mbits/sec, which means the videos are ultra-smooth with any possible glitch, whatsoever. The CMOS Image Sensor that works in sync with the machinery does some great light capturing and embeds it into the picture. 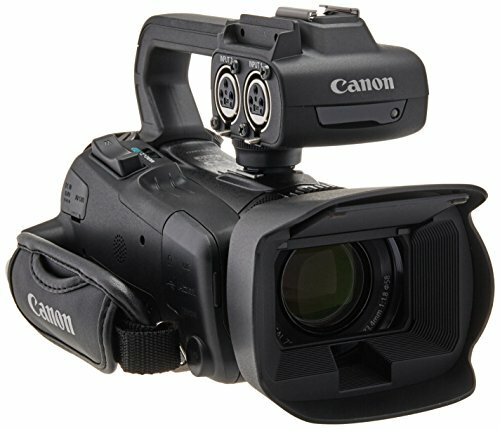 Relay recording and Double Slot recording are typical Canon features that you would find in this camera. Talking about the one with 4K recording, the XC10 4K Professional camcorder armed with the wide-angle lens, 4K compatible CMOS Image sensor and Digic DV 5 Image processor for an unbelievable video output. XF-AVC Codec for 4K records 4K videos at 30FPS and Full HD videos at 60FPS and is one of the commonly used 4K codecs. Incredible 10x Optical zoom enables you to take some really detailed shots from up close. But the best thing about this camera is that though it is quite heavy on specs, it isn’t really so on your hands and is quite a compactly built camcorder right here.